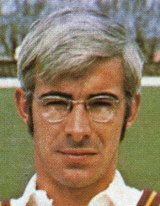 David Stanley Steele (born 29 September 1941) is a former English international cricketer. Tony Greig picked him for England in 1975, when he was close to retirement from county cricket for Northamptonshire. Steele, who was born in Bradeley, Stoke-on-Trent, England, was a middle-order batsman. 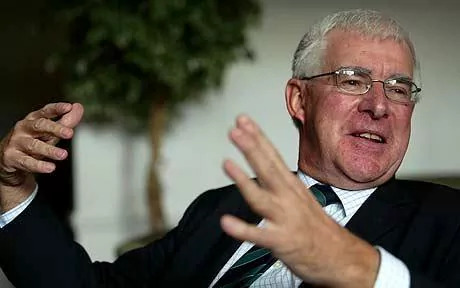 In his eight Test matches, he played against fast bowlers including Dennis Lillee and Jeff Thomson for Australia; and Andy Roberts, Michael Holding, Wayne Daniel, and Vanburn Holder for the West Indies. His arrival followed a period of great difficulty for the national team, mired in a difficult 1975 Ashes series. It led to the phrase that he was like a "bank clerk that went to war". He was appointed as County Captain of Derbyshire in 1979 but resigned after six weeks. He played for the club from 1979 to 1981. Making his debut against Australia at Lord's in 1975, he got lost in the pavilion as he went out to bat. Steele went down one too many flights of stairs and found himself in the basement toilets. He managed to make the field of play without becoming the first Test batsman to be timed out. Once he did arrive at the crease, fast bowler Jeff Thomson gave him a typically Australian welcome. 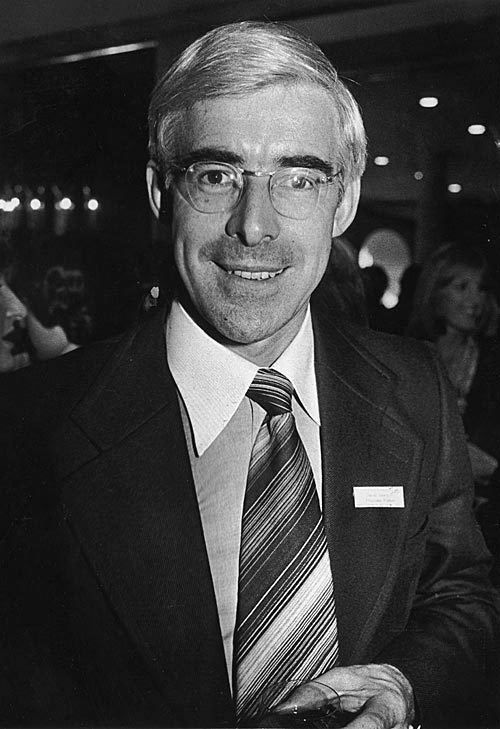 Eyeing Steele's prematurely greying hair at 33, Thomson asked: "Bloody hell, who've we got here, Groucho Marx?" 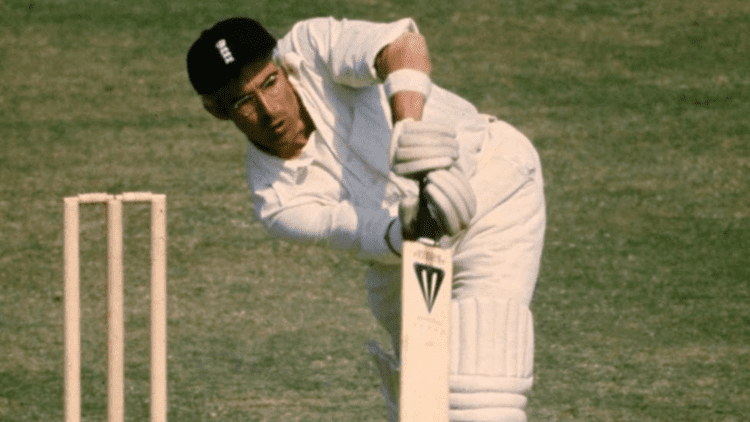 That summer however, Steele scored 50, 45, 73, 92, 39 and 66 against the Australians in his trademark staunch, courageous and steady manner. When presenting Steele his cap in the dressing room before his debut, captain Tony Greig felt tears fall on his hand and considered that "Here was a man who would fight for me to the death". The following year, he commenced against the even more fearsome fast bowling attack of the West Indies, by scoring a century at Trent Bridge. Oddly he was overlooked for that winter's tour to India, on the theory that he could not play spin bowlers. 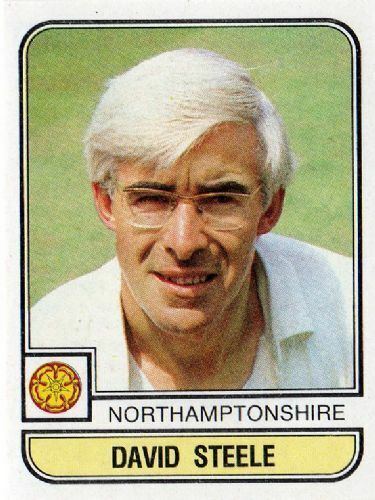 He duly returned to county cricket, and finished his career back at Northampton in 1984, having scored over 22,000 runs, of which 673 came at the top level of the sport. Steele was voted BBC Sports Personality of the Year in 1975, and was named as one of the Wisden Cricketers of the Year in 1976.